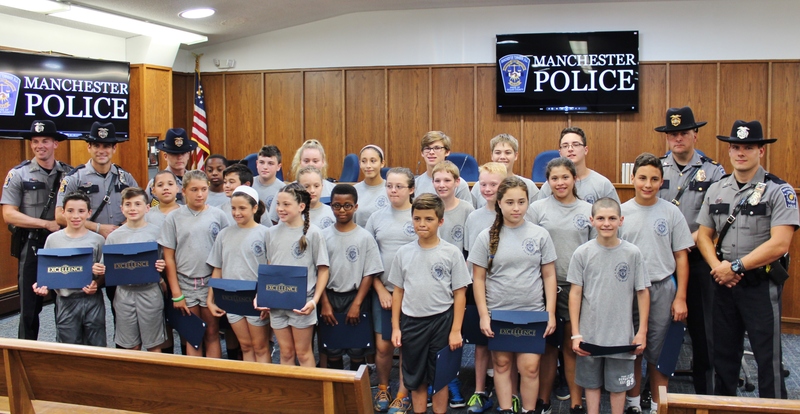 It is with great pride the Manchester Township Police congratulates the graduates of the 2017 Youth Police Academy, the third class to successfully complete the program. 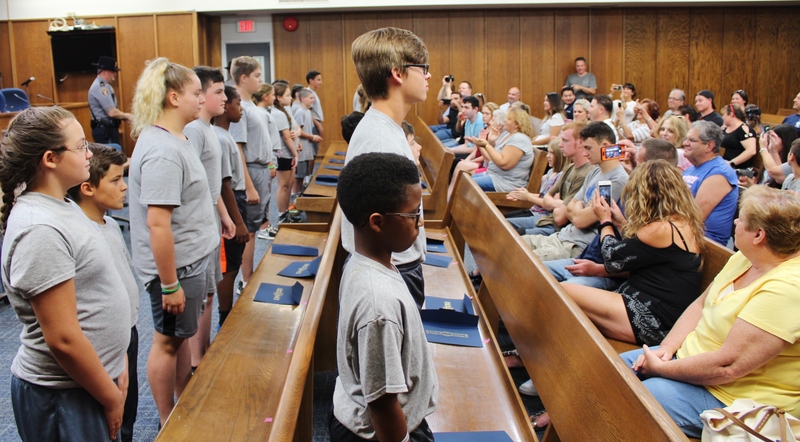 Held from August 14-17, 24 students from grades 6, 7 and 8 were introduced to the law enforcement profession and taught what it means to be a police officer through hands-on demonstrations and activities. Led by School Resource Officer Christopher Cerullo, the youth cadets engaged in a variety of activities each day showing them different aspects of law enforcement. 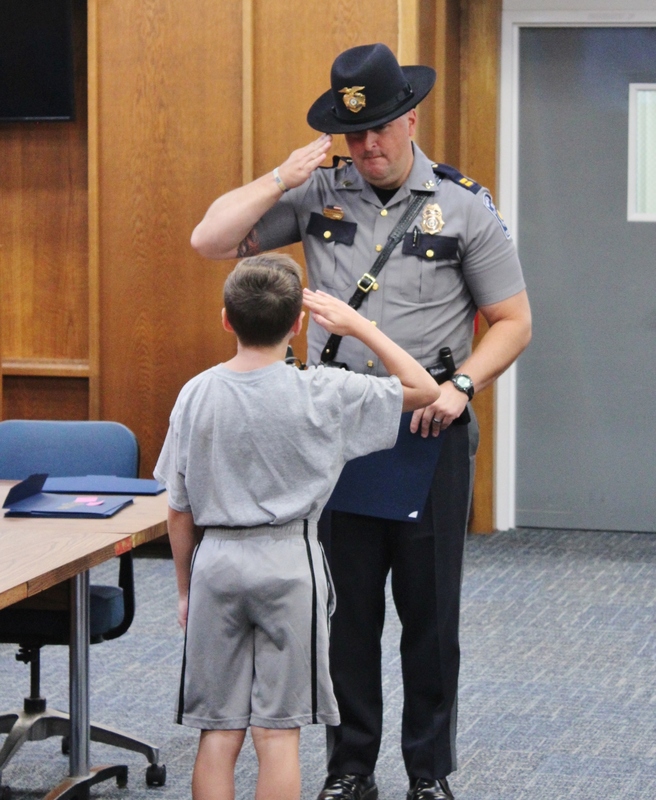 The youth cadets were taught the history of the Manchester Township Police Department, interacted with Ocean County Police Academy cadets during a tour at their Lakewood facility, saw SWAT demonstrations at the Ocean County Fire Academy, and learned about physical fitness, first aid and traffic safety. During today’s final Youth Academy activities, cadets met K-9 Officers Marc Micciulla and Steven Wendruff, as well as their partners Storm and Lynk, who provided a demonstration of the dogs’ abilities. “We’re able to teach these cadets about what we as officers do on a daily basis, as well as to let them know that they should never be afraid to approach us to ask for help,” said SRO Cerullo. 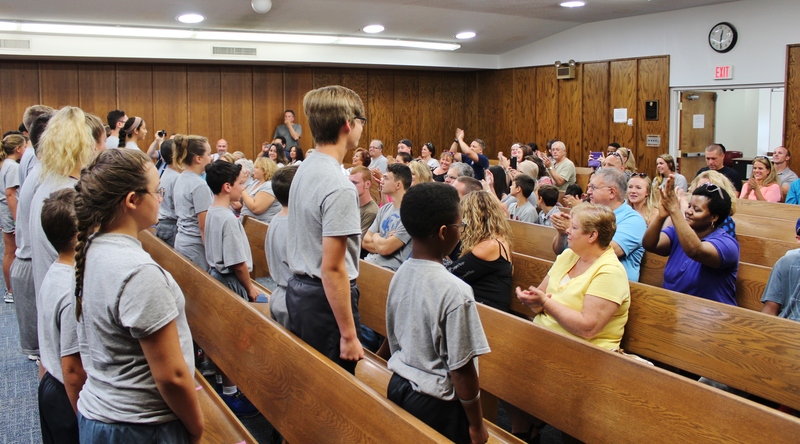 On Aug. 17, the youth cadets celebrated their accomplishments with a graduation ceremony and pizza party. Capt. 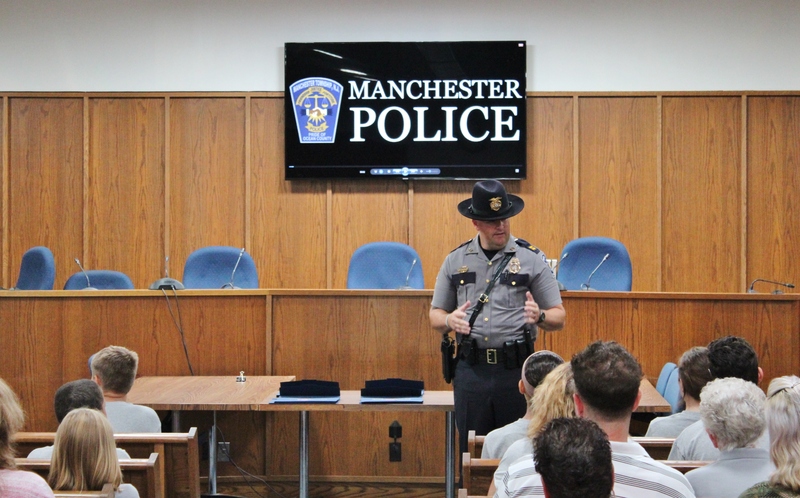 Todd Malland addressed the class as they received their graduation certificates before friends and family members in the Municipal Complex Courtroom. Helping to make the Youth Police Academy possible were Sgt. Mike Leming, Ptl. Joseph Reilly, Ptl. Keith Craig, Ptl. Patrick Cervenak, Ptl. Michael Steffen, Ptl. 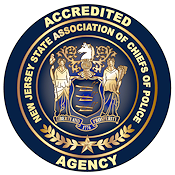 Chris Walaszek, Detective Adam Emmons, Detective Danny Barker, the Ocean County Police Academy, Ocean County SWAT, and Manchester First Aid and Rescue Squad.